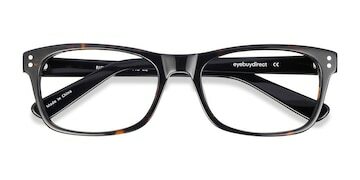 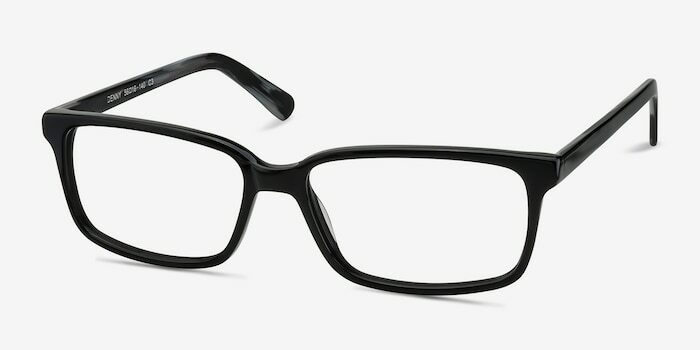 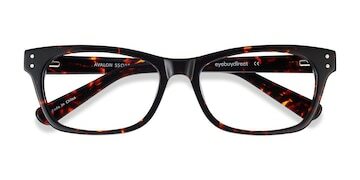 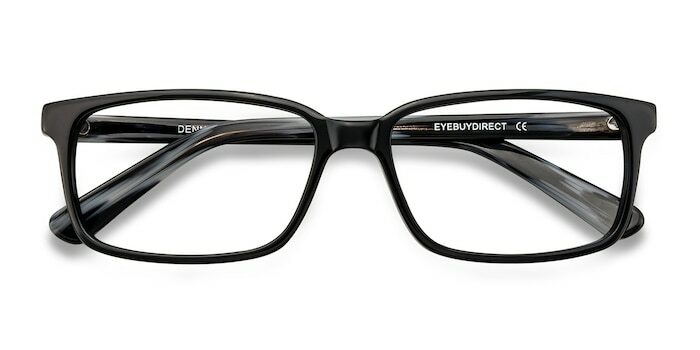 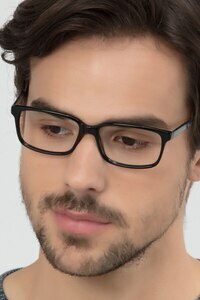 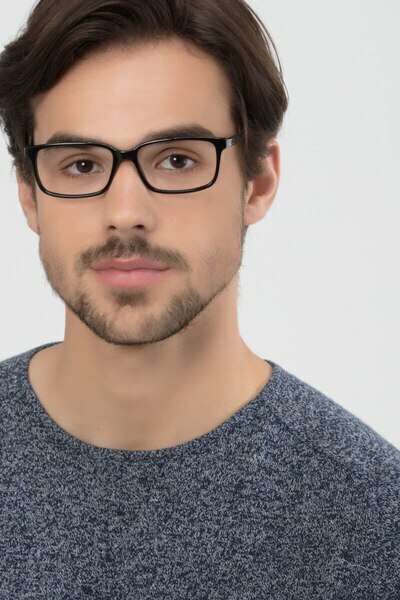 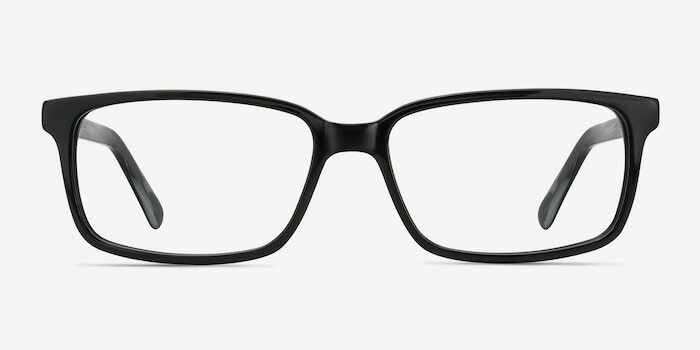 These black and gray eyeglasses are light and casual. 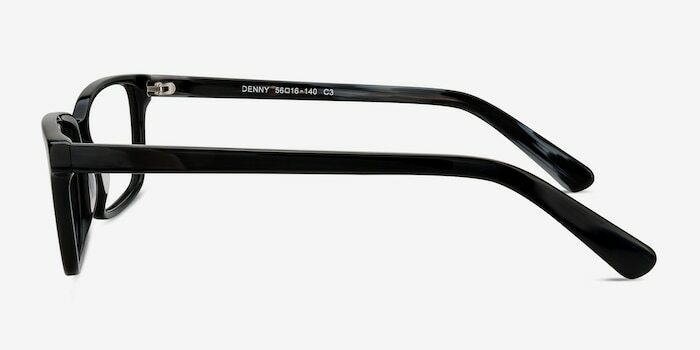 This full acetate frame comes in a black hue throughout, designed with a classic rectangular shape. 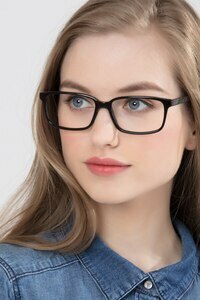 The temple interiors are decorated with marbled black and silver design, subtle enough to make this simple look suitable for both and women. Liked my pair of glasses, just what I wanted!! 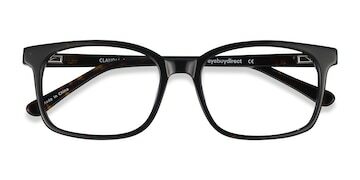 I have purchased for all my family and every pair was perfect.